Let’s start by defining lifestyle engineering. Lifestyle engineering is a term that has been coined by people in different contexts. Lifestyle Engineering is the act of intentionally designing and building a life you want to live. That could be working for an employer and retiring by age 30 so that you can travel the world is a sail boat. Lifestyle Engineering could be building enough passive income through real estate and agricultural income producing land, which exceeds your living expenses, therefore allowing you to retire. Essentially Lifestyle Engineering is the approach to your freedom. Freedom is an empowering emotion. Think how it feels when you know you don’t have to do something, but can do it only if you want to. Most people call this a hobby. If it’s not a hobby, they do it out of love. Let’s look at an example of this – one most can relate to. Everyone has to work to some extent. Most people “go to work”, meaning they drive to an office and work an 8 hour day for a company. Most people don’t feel inspired or fulfilled by doing this, because they have to do it. They have to keep that job in order to pay for their lifestyle – their housing, vehicle, food, insurance, etc. If they didn’t have that job, they couldn’t afford those things they have. The fact that this person has to continue to work makes them resentful towards it. Now imagine if you didn’t have to work, but chose to do so. How would you feel if you were working, only because you enjoyed it? You enjoyed the people, the company, the service or product you provide. You wouldn’t be stressed about raises, company politics, vacation, etc. Why? Because you’re choosing to be here because you like it. How do the latter of these scenarios sound to you? I know you’re thinking something along the lines of “Sure Jacob, it would be nice to not have to work, but I’m not there yet.” That’s completely normal. In fact, that’s the whole premise of this podcast is to help you get to that point, and beyond! People in this life aren’t given enough credit. Most people are great people. In fact, I don’t think I’ve ever met a person who isn’t a good person in their own way. Think of how many talented people you know, who aren’t pursuing their true passion, or their calling in this life. We all know that one person who is insanely talented at something other than what they’re doing. Think what the world would be like if it were full of people pursuing their passions! We would have ultra-successful companies creating products and services for people who are just as passionate as them. We would have people who are innovating, creating, teaching, and learning, what it is they want to. If everyone had the freedom to do this, the world would be a different place. It all starts with you. You can be that difference. You first have to be able to chase that passion. 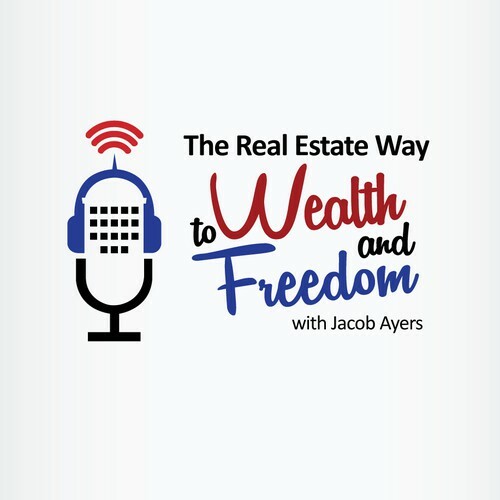 That’s the mission of The Real Estate Way to Wealth and Freedom – to help people achieve financial freedom so they can build a life they want to live. You can do whatever it is in this world you want, at any age. All you have to do is make it happen. Engineer your lifestyle so that you can do what it is in this life you want!